To contact Dr. Levy or schedule an appointment, call 312.321.6047, ext. 3. Joshua Levy, PhD, is on the faculty at CCFH. He is a cognitive therapist, a certified biofeedback therapist, and a licensed marriage and family therapist. He specializes in the treatment of stress-related health problems, anxiety and mood disorders, child and adolescent anxiety and ADHD, and couples therapy. He has an office in the Loop at CCFH and in Northbrook in a medical setting where he works with two internists. Dr. Levy’s clinical approach is evidence-based. Anxiety and depression are treated using cognitive behavioral therapy (CBT), based on research showing effectiveness in treating episodes and preventing relapse. Panic attack, PTSD, phobias, bipolar depression, and personality disorders are treated with CBT methods tailored to the presenting problem. Biofeedback may be included to quiet sympathetic nervous system arousal that can contribute to problems with functioning. Stress-related health disorders are treated with biofeedback, based on studies showing effectiveness in targeting autonomic nervous system imbalances typically observed in patients with headache, IBS, fibromyalgia, hypertension, TMJ, and Raynaud’s Disease. Cognitive treatment may be included to address the person’s experience of symptoms. Child and adolescent anxiety are treated using a cognitive behavioral therapy called Coping Cat (for younger children) and C.A.T. Project (for teens), based on studies showing effectiveness in reducing anxiety in children. ADHD is treated with parent-guided reinforcement strategies shown to help with attention problems and conflict at home. Distressed couples are treated with an empirically-based therapy shown to improve relationships called Emotionally Focused Couples Therapy. The approach provides a clear framework for understanding relationship distress and strengthening adult attachments. 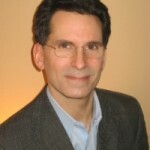 Dr. Levy received his doctorate in social work from the University of Chicago. He received post-graduate training in cognitive therapy at the Beck Institute for Cognitive Behavioral Therapy in Bala Cynwyd, Pennsylvania. He received biofeedback training with the Stens Corporation and the Biofeedback Training Institute in San Rafael, California. He is a past Fellow of the Family Systems Program at CCFH, where he received post-graduate training in family therapy, child therapy, and couples therapy. He is a graduate of the Family Systems Program at the University of Illinois, Department of Psychiatry. 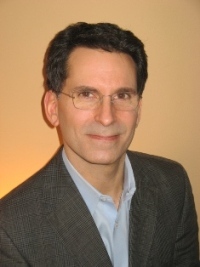 Dr. Levy is a member of the American Family Therapy Academy, clinical member of the American Association of Marriage and Family Therapy, and a member of the Association for Applied Psychophysiology and Biofeedback.